BBC Radio, “Reminders” Limited Edition CD Copies Available! Had a great evening at BBC Radio Norfolk this week being the Tuesday guest on Matthew Gudgin’s Drivetime Show. Loved talking all things music, my career journey so far, and also playing six of my all-time favourite songs. The interview is available to “Listen Again” here and the show is also repeated on Sunday 26th November between 1 and 2 pm. My next appearance on BBC Radio Norfolk is next Sunday where I will also be chatting to Keith Greentree on the Big Country Show, Sunday 3rd December from 2 pm. 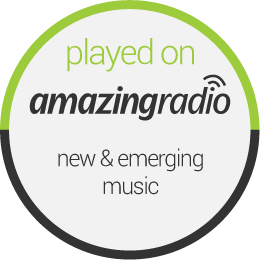 ‘Lisa Redford’s Inspiring Songs’ Radio Interview/Session On Again Tonight! My interview and live session from Monday is being repeated again this evening! Go to www.brooklandsradio.co.uk and the Listen Live button. Hear 3 live songs, including 2 new songs, and an indepth interview about my musical journey and musical inspirations. I also discuss some of my favourite songs and songwriters which include Kings of Convenience, Ryan Adams, Sufjan Stevens, Kate Bush and Josh Rouse. Hope you enjoy! ‘There’s another chance to hear last Monday’s show with David Durant and his studio guest Lisa Redford, an English singer song-writer currently living in New York. During her visit to her motherland she took some time out to visit the Brooklands Radio studios for a one hour session which we bring you tonight. Here is what others have to say about this talented chanteuse: “one of our finest singer/songwriters” Bob Harris, BBC Radio 2, “brilliant! Lisa has a great voice” Glenn Tilbrook, Squeeze, “In a sea of smart female singer-songwriters, Lisa Redford is an admiral.? Maverick Magazine, “There is a warmth and welcoming vibe to Redford?s music that really is difficult to resist.” Americana UK 8 out of 10.